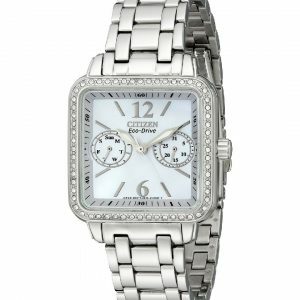 65 sparkling diamonds enhance the rectangular case, dial and crown of this exquisite Fiore watch from the Citizen Signature collection. 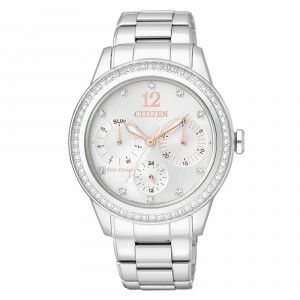 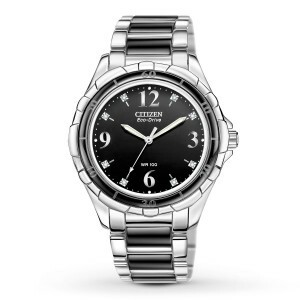 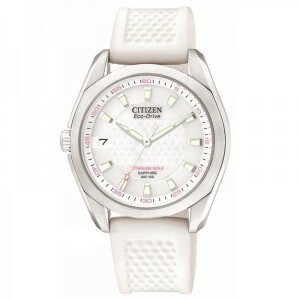 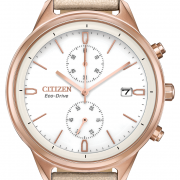 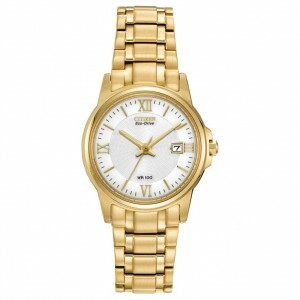 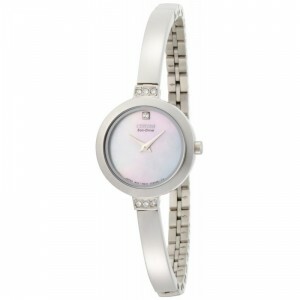 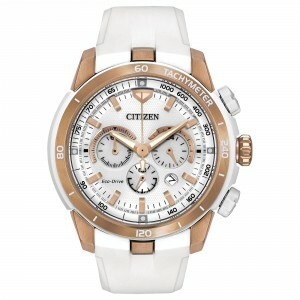 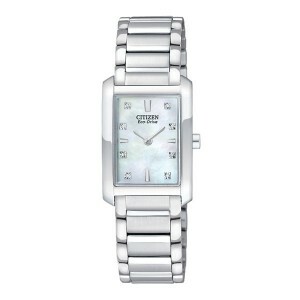 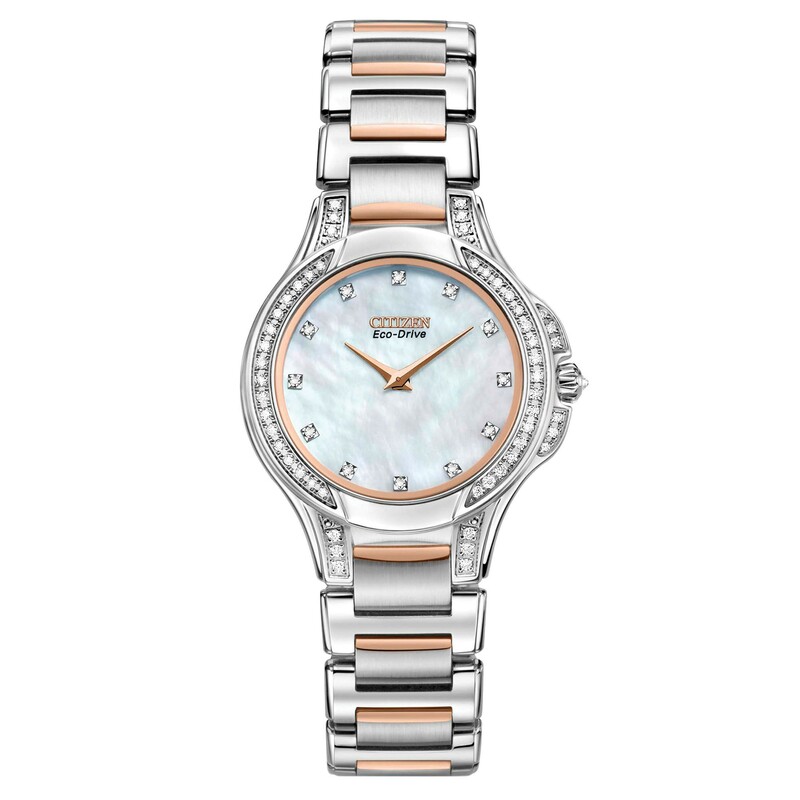 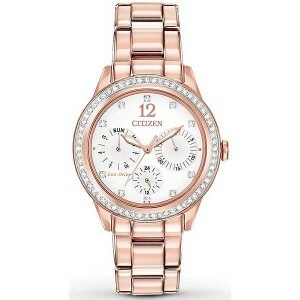 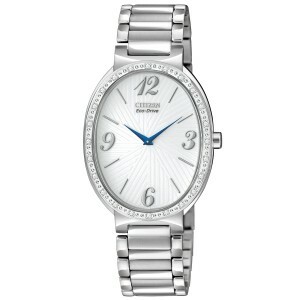 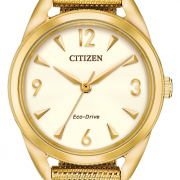 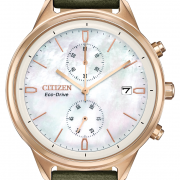 Crafted in stainless steel with rose gold-tone accents, this ladies’ watch also features a white mother of pearl dial beneath a dual-coated anti-reflective sapphire crystal, with a bracelet sporting a foldover clasp with push button. 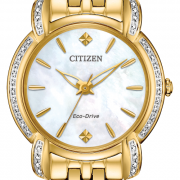 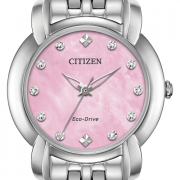 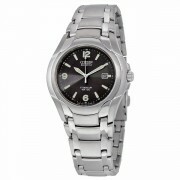 Fiore features Citizen eco-drive technology which means that it is fueled by light, any light, so it never needs a battery.